Are you wanting to stay at home with your kids, start a business, take a course or go on vacation and aren't sure how to afford it? 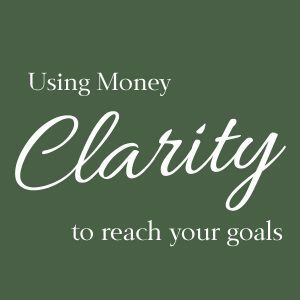 This course will help you gain money clarity and re-prioritize the spending in your life to help you make those dreams happen. Get clear about what your dream is. We'll attach real numbers to it. Learn how to change your spending to match your life priorities. I'll give you tools to help you get clear and create a plan of action on how to make that goal happen. Tips and tools to help you stay focused and communicate your goals to those around you. I have been a working artist for over 25 years. Selling my first work at just 14. As with many creatives, I have a wide variety of interests and creative styles. I pride myself on building a business full of character, honesty and integrity. I pride myself and my work with being transparent and authentic. In 2014 I was blessed to stand in circles with women from around the world as I traveled with Braveheart Women through Europe. As part of this group we brought women together in a variety of countries to promote healing, sisterhood and teach collaboration over competition. I'll never forget standing in a women's circle in Europe and looking into the eyes of women from Africa, South America, Europe, Australia, Canada, the Middle East and the US all in one evening. Tears streaming down our faces as we connected on a soul level. Something happens when you stare into another woman's eyes for 60 seconds or longer. At first often people will blink or look away. Some cultures find eye contact harder than others, some giggle, some dance to release some of the nervousness. But then as you continue to look and share that experience a connection happens that is deeper than where we are from, our religion, our skin color, our age. We see the past the pain, the vulnerability, the dreams and hopes. We see a sister, another limb of humanity's large tree of limbs. Separate yet connected. It was one of the most soul touching experiences I've ever been a part of and has forever changed me for the better. Sisterhood and vulnerability are sacred to me. More than all of that, I've always been a seeker of knowledge, I've had a deep drive to learn about human behavior, understanding why we do what we do and how we can connect and bring out each other's truths and light. I know that we are more than the moment we are in. Through divorce, loss of my Mother, miscarriage, moves across the country, building my own business from the ground up... I have insight into life's toughest moments and the paths out of those times. I also know how to dream big and pride myself on building a life that is authentically me, raising kids and building a life with a wonderful husband in ways that work best for our family. My hope is to share all that I've learned through the thousands of hours of courses, books, podcasts, interviews and integrate it with my real life knowledge in ways that can help others.